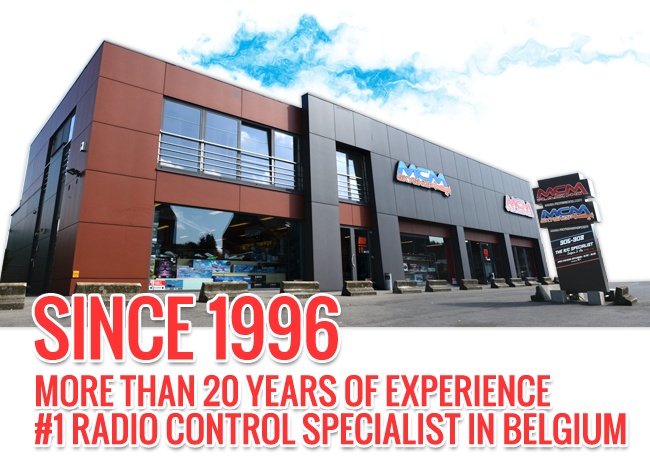 Welcome to the biggest RC shop in Belgium. It’s also 20 years of experience in the RC world, 4 competent vendors are at your disposal in 3 languages : English, French and Dutch. More than 100 brands in the car section branch and more than 100 brands in the air section. You will find anything you are looking for, as well a complete RTR as a spare part and we may not forget to mention the advice and the after sales service. Our shop is open from tuesday till Saturday from 10am till 18.30pm (non stop). Web orders will also leave on mondays. Our phone numbers (without surcharge). You will receive an answer within 24h and, in most of the cases, even faster. Here you will receive also an answer within 24h and, regarding to the number of tickets before yours, even faster. Finally you can subscribe on our newsletter (frequency of 1 newsletter every 15 days).